Quality: This recipe works best with paste tomatoes. Slicing tomatoes require a much longer cooking time to achieve a desirable consistency. 3. 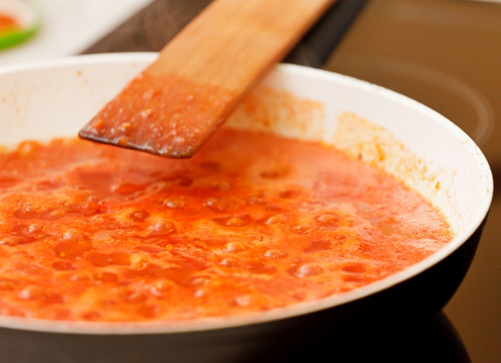 Combine all ingredients except cumin, oregano and cilantro in a large saucepot and heat, stirring frequently, until mixture boils. 4. Reduce heat and simmer for 10 minutes, stirring occasionally. Add spices and simmer for another 20 minutes, stirring occasionally. 5. Ladle hot into clean, hot pint jars, leaving ½-inch headspace. Remove air bubbles and adjust headspace if needed. Wipe rims of jars with a dampened, clean paper towel; apply two-piece metal canning lids.